Flex Extra team invitations are to be extended on the basis of the results of tryout sessions scheduled by the Region. Two tryout dates will be scheduled for each team. Candidates are to be strongly advised that attendance at both dates is highly recommended. At least one independent evaluator and up to three evaluators should be present at each tryout session. 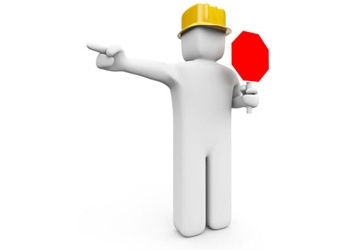 Evaluators may not be the coach(es) of that team or parents of any candidate for that team. Ideally, Flex Extra coaches should work together to evaluate each other’s candidates, rather than bring in outside evaluators. However, outside, independent evaluators (such AYSO Soccer Camps instructors) are permitted as long as they have no affiliation with a local soccer club. Each candidate will be rated in categories pertaining to performance in technical, tactical, functional, and game playing situations. Each category carries a maximum score of 25 for a total of 100. To ensure a fair and consistent basis for ratings, each evaluator must evaluate each candidate present on a given night and assign them a score in each category. All player identification will be done by assigned tryout number only. The evaluator(s) ratings are normalized and turned into scores. The scores determine a ranked player order. The ranked player order becomes the basis for the coach to extend invitations to candidates. The coach shall present their selection plan for approval to the Regional Commissioner or their designee (typically, the Flex Extra Administrator) for approval prior to extending offers to any players. Once the Regional Commissioner or their designee has approved the selection plan, the coach can begin using these Selection Rules for AYSO Region 213 Flex Extra Teams ("Selection Rules") to begin extending offers once they receive the ranked player list . 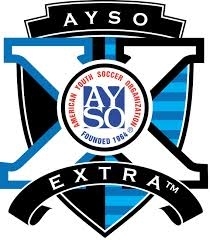 After the team has been formed, the coach shall submit, in writing (where an email is sufficient) how they complied with these Selection Rules to the AYSO Region 213 Regional Commissioner and/or their designeare hae. Some divisions (where a division is a single age division and gender such as "Girls Under-11") have two teams. The total number of teams in any division is affected by the number of teams and players in the primary program for that age division as well as whether the Region believes the level of skills and talent for the pool of players is sufficient to create additional teams. For the purpose of the AYSO Region 213 Flex EXTRA program, no single division will have more than two teams. In general, the goal is to select coaches for the two (2) teams in the same division who work well together. The selection of players to play for one coach versus another should not be a source of conflict between the coaches. 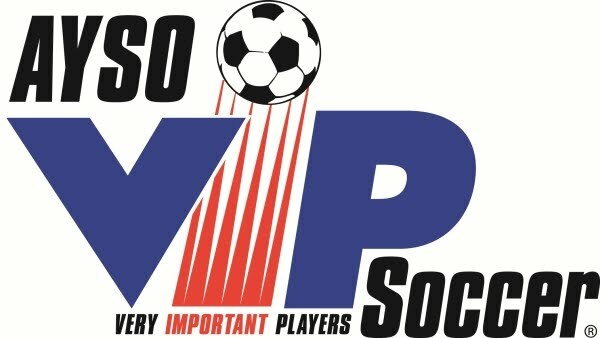 Should any conflicts in player selection continue in divisions where there are two teams, and the coaches cannot come to a mutual agreement that balances desired players and strength of roster, AYSO Region 213 reserves the right to create a selection committee and determine rosters for each team independent of coach selection. Players who did not attend a tryout according to the Wild Card Picks guidelines below. b) All of the top fifteen (15) players have been made offers. b) Until offers have been made to the top fifteen (15) rated players from the tryout. A coach may extend invitations to evaluate Additional Tryout Picks to their Spring practices on a limited basis. See Call Backs below. b) All of the top twelve (12) players have been made offers. b) Until offers have been made to the top twelve (12) rated players from the tryout. b) All of the top ten (10) players have been made offers. b) Until offers have been made to the top ten (10) rated players from the tryout. A coach may extend additional invitations to evaluate Additional Tryout Picks to their Spring practices on a limited basis. See Call Backs below. a) Nine (9) candidates have accepted offers, or b) All of the top fifteen (18) players have been made offers. U16 and U19 teams - whether Flex Extra or Recreational - tend to take longer to fill spots due to the lack of interest from players until nearer to the season start. At the discretion of the Regional Commissioner or the selection committee they may designate, a coach is allowed to add players as recruited or as players submit applications to the Region of they do not have enough players to fill a roster after the tryouts. For clarification purposes, teams will be designated Team 1 (and Coach 1) and Team 2 (and Coach 2). Each team has a maximum roster size of ten (10) players. Between the two teams, ten (10) of the top fourteen (14) ranked candidates must be offered a position on one of the teams ("Initial Mandatory Picks"). Both coaches will work together to determine who their first five (5) Initial Mandatory Picks will be and submit these to the Regional Commissioner ("RC") or their designee before offers are extended. If the two coaches cannot come to an agreement on the Initial Mandatory Picks, then the Regional Commissioner, or a Selection Committee designated by the Regional Commissioner, shall designate what players each coach can extend offers to. If any of the candidates declines the offer from one coach because they want to be on the other team, then they are placed on the Reserve List and Additional Tryout Picks are completed. The goal of rules associated with players placed on the Reserve List is to balance the desire of a player to play for a particular coach with the goal of balancing the teams. Therefore, preventing one coach from "reserving" or extending promises to specific players or gaining all of the top players at the expense of the other team and coach. In spirit, players should be equally pleased and proud to play for either coach. After Mandatory picks are complete, additional positions on the team must be filled by the coaches selecting from other candidates who attended the tryout and are not on the Reserve List. The coaches shall then submit their next two (2) player selection requests to the Regional Commissioner or their designee for approval. If the coaches cannot reach an agreement, then the Regional Commissioner or the Selection Committee designated by the Regional Commissioner shall select and hand the coaches the next list of players they may extend offers to. Any players declining an offer from the designated coach shall be placed on the Reserve List. Should additional teams be added to an age division after this document is updated or the tryouts have been completed then a new set of tryouts shall be conducted and the team shall be formed using the 1-team in the age division scenario as appropriate and as designated by the Regional Commissioner prior to the start of the tryout process. After the Mandatory Tryout Picks and Additional Tryout Picks have been completed by both coaches, a coach can submit the name of one (1) player on the Reserve List to the Regional Commissioner or their designee for permission to extend an offer to the player. Neither coach will be allowed to extend an offer to more than one (1) player on the Reserve List. After Mandatory, Additional Tryout and Reserve List (if applicable) picks are complete, the remainder of the positions on the team may be filled by the coach selecting candidates from the tryout list. In the case of an age division with two teams, the coaches shall alternate extending an offer to one player on the tryout list at a time (after getting permission from the Regional Commissioner or their designated selection committee) until both coaches are done extending offers to players on the tryout list. Any player declining an offer shall be placed on the Reserve List and cannot be selected by the other coach unless that coach is exercising their Reserve List option specified above. Thus, it benefits the coaches to work together to decide what remaining players on the tryout list they would like to extend offers before submitting the player to the Regional Commissioner or their designated selection committee. a) If a player was either a player on the previous year’s Region 213 Flex Extra team for that age group or a player on an AYSO Region 213 recreational team during the Fall Season of the previous year, then the coach may select that player as their one "Wild Card – A" pick. b) A coach may also select one (1) player who does not meet any of the prior listed conditions (i.e., did not attend the tryout, did not play on the previous year’s Region 213 Flex Extra team for that age group, and was not a player on an AYSO Region 213 Fall Season recreational team the previous year) and is considered a "Wild Card – B" pick. Wild Card – B picks are only eligible for the "correct" year’s Flex Extra team (i.e., a player may not play "up" without trying out or by being a coach’s "Wild Card" pick). To clarify, coaches are allowed both one Wild Card A and one Wild Card B pick. Candidates who attend one night of the two night tryout process will have their score from the single night used as the basis for their evaluation. In addition they must indicate why they were unable to attend the second night of tryouts. There is a limited time window for call backs. A coach may call ask candidates for Additional Tryout picks or AYSO Registered Wild Card– A picks for evaluation at their spring practices. Only those players who either attended the tryout and did not meet the Mandatory Pick guidelines or are AYSO Registered (Wild Card A) may be called back. The Call Back is not a tryout. The Call Back cannot be used to convert a Wild Card – A pick into a ranked, tryout Mandatory or Additional Tryout pick. The coach will have two (2) weeks after the completion of tryouts and the publication of evaluation results to complete their Call Backs and evaluations. The coach is required to offer roster places to their Mandatory Picks prior to conducting further call back evaluations. Underage players are those whose birth date falls after the cutoff date for a particular division. Generally they are eligible for play in an "older" division; however they must meet specific criteria in terms of their ranking. It is the Region’s intent that players play in the proper age division for the Flex Extra Program, and that only truly exceptional players be allowed to play "up." There are players that do have the skills and size that will let them compete at the higher age group. Therefore we have created a process to allow for one (1) underage player to make a Flex Extra team. Coaches can only make offers to one (1) underage player from the tryout roster. The player must attend tryouts. Wild card picks cannot be used for an underage player. Underage players must be ranked in the top half of all players selected by the coach. As an example, if a coach selects players ranked between 1 and 20 on a tryout list, then the underage player MUST be part of the upper half of the entire set of players. The Flex Extra Commissioner and/or their designee (and with the approval of the Executive Committee defined below) will make the determination as to appropriate cutoff. Underage players should make every attempt to attend the tryout for both teams for which they wish to be considered, i.e., the “correct” age group and the “older” age group. A player who does not attend the tryout for the “correct” age group and subsequently wishes to play on that team can be selected by the coach only as a Wild Card Pick. The evaluation "score sheets" with ratings assigned to “tryout numbers” will be submitted to the Flex Extra Commissioner (and/or their designee) by each evaluator after each night of the tryout process. The Flex Extra Commissioner (and/or their designee) will then calculate the rankings for each group of candidates. Each coach will also provide the Regional Coach Administrator and the Flex Extra Commissioner (and/or their designee) with a listing that cross references tryout numbers and names of candidates. A list of ranked candidates by name, from highest score to lowest score, will then be returned to the coach who will make his or her invitations following the procedure prescribed above. 3/23/05 1.0 J. Smith initial draft culled from 2004 season’s selection rules. 4/4/05 1.1 J. Smith modified the top selection rules to protect the top 5 ranked players in 15 man rosters and the top 3 players in 12 man rosters. 3/10/06 1.2 J. Smith Modified the mandatory rules for players from the tryouts in order to ensure a competitive team will be created. 3/23/07 1.3 O. Chaikovsky Modified to include Call backs. 3/23/07 1.4 B. Foster Clarifications to Call Back rules, various formatting changes, and some corrections to typographical errors. Corrected numerical errors in the 12-man roster paragraphs. 3/26/07 1.5 O. Chaikovsky Combined changes in 1.2, 1.3, 1.4 into one document. 3/10/08 1.6 O. Chaikovsky Modified rules for Roster Size of 10 (was 12). Area changed roster limit. 2/3/10 1.7 B. Foster Modified evaluation criteria information to 25-points system for Technical, Tactical, Functional Defending and Functional Attacking. 2/7/10 1.8 B. Foster Modified rules for clarity. 2/3/12 1.10 Foster/Chaikovsky Added 2 team rosters, new RRA name, selection committee, numbering to doc. 3/9/13 2.00 Foster Made major revisions to most sections related to 2-team situations in a single age division. In DRAFT mode, the changes are - for the most part - highlighted in red and/or with strikethrough fonts (exceptions are areas such as changing to header numbers and paragraph order for clarity). 3/15/13 2.01 Foster Converted Version 2.00 from a markup version to a proposed final version by removing strikethrough text and turning red font into black font. Version 2.01 was approved as FINAL by the Region 213 Executive Committee on 2013-Mar-21 and published to the website.